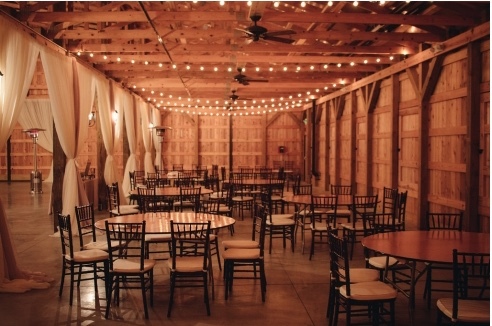 If you haven't visited Saddle Wood Farms as a possible venue for your wedding, I suggest you visit soon. It's a gorgeous venue with lots of glamorous touches. When the owner, Jayne invited our group out, we had to take her up on it & bring out our planners. Nashville Audio Visual graciously left us this draping that they created for a couple that past weekend. The draping dressed up the venue perfectly. Daniel with DMCK Photography came out & took some great pictures for us, to highlight the venue. Christin with The Farmers Florist created some amazing floral arrangements for us, that matched perfectly with the linens from Over the Top Linens. Christin uses what's local and in-season from Nashville/Middle Tennessee flower farmers and often gathers materials herself from the surrounding landscape on her own farm. Chef's Market set up an amazing spread for us, with lots of yummy options. For dessert, Chef's Market had Apple Pie covered apples for us! !